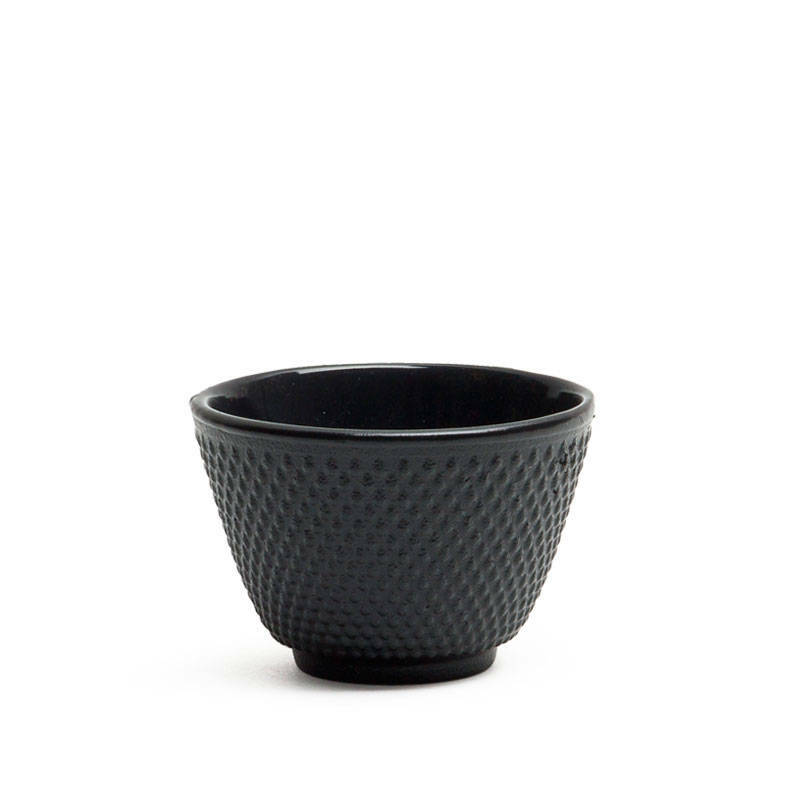 Black hobnail design cast iron Japanese style teacup, 4 oz. Made in China. 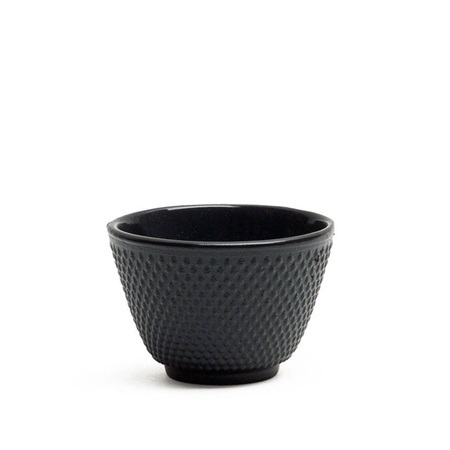 3.2" diameter x 2"h; 4 oz. capacity.